I am a Professor in Computational Biology at School of Computing Sciences, University of East Anglia. I am Director of the Computational Biology Laboratory, Research Director for the School, and was Head of School 2012-2016. My research interests include phylogenetics, computational biology of RNA, metabolic modelling, algorithms in bioinformatics, and the study of discrete structures such as graphs and finite metric spaces. I am Associate Editor for IEEE/ACM Transactions on Computational Biology and Bioinformatics. I am also Associate Editor for the BioMed Central journal Algorithms for Molecular Biology. I am on the editorial board for the journal Bioinformatics and Biology Insights. I am on the steering committee for the annual Workshop on Algorithms in Bioinformatics (WABI) conference. I was on the Scientific Advisory Committee for the Mathematical, Statistical and Computational Aspects of the New Science of Metagenomics Programme held at the Isaac Newton Institute for Mathematical Sciences in spring 2014. I was a program chair for WABI 2010, together with Mona Singh. In autumn 2007, I was principal organiser for the Phylogenetics Programme at the Isaac Newton Institute for Mathematical Sciences. I have been guest editor for a special issue of Annals of Combinatorics on Phylogenetic Combinatorics (Volume 10(1), 2006), and also for a special issue of IEEE/ACM Transactions on Computational Biology and Bioinformatics on Phylogenetics (Volume 6(1), 2009). I was a member of the Scientific Advisory Panel of the Allan Wilson Centre for Molecular Ecology and Evolution. I also sat on a Netherlands Organisation for Scientific Research assessment panel in 2008 for proposals on Biological Networks, and on the Agence Nationale de la Recherche panel in 2011 for "Bioinformatique" proposals. I have been an External Faculty Member of the John Innes Centre, 2009-2014. In the years 2002-2004, I was the Associate Director of The Linnaeus Centre for Bioinformatics, Uppsala University. 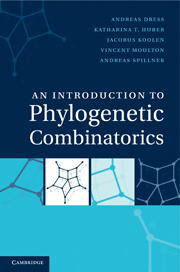 Computational Methods for Biochemical and Evolutionary Networks (CompBioNets), 2004, 2005. European Conference on Computational Biology (ECCB), 2004, 2005, 2007, 2008, 2015. EvoBIO - European Conference on Evolutionary Computation, Machine Learning and Data Mining in Bioinformatics 2008, 2009, 2010, 2011, 2012. German Conference on Bioinformatics, 2009. Intelligent Systems for Molecular Biology (ISMB) , 2004, 2005, 2007, 2008, 2010, 2012, 2015. Mathematics and Informatics in Evolution and Phylogeny, 2008. Systems Biology Workshop, European Conference on Artificial Life (ECAL), 2005. Workshop on Algorithms in Bioinformatics (WABI), 2003, 2004, 2005, 2010, 2011, 2015, 2016, 2017, 2018. ACM Conference on Bioinformatics, Computational Biology and Biomedicine 2011. You can find a full list of my publications here. You can find a list of my grants here. Some current and past postdoctoral researchers and graduate students. You can find a full listing of software provided by the UEA Computational Biology Laboratory here. Mathematical Approaches to Evolutionary Trees and Networks, February 2017, Banff, Canada. Phylogenetics: New data, new Phylogenetic challenges Follow-up Meeting, June 20-24 2011. The Phylogenetics Programme at the Isaac Newton Institute, September 3 - December 21, 2007. Current Challenges and Problems in Phylogenetics, September 3-7, 2007, Cambridge. ESF Exploratory Workshop: New tools for biodiversity conservation through the advancement of phylogeographic methodologies , July 4-6, 2006, Norwich. Systems modeling in plants and microbes, May 5-6, 2005, Norwich. Phylogenetic combinatorics and applications, July 5-9, 2004, Uppsala Sweden. Autumnal phylogenetics, Sept. 25-26, 2003, Uppsala, Sweden. Wintry phylogenetics, Nov. 27, 2002, Sundsvall, Sweden. Midsummer Phylogenetics, July 27, 2001, Sundsvall, Sweden. Recent progress in theoretical methods for phylogenetic analysis, 2000, Sundsvall, Sweden. PhyloInformatics Workshop, 22-24th October, 2007, Edinburgh. Future Directions in Phylogenetic Methods and Models , December 17-21th, 2007, Cambridge. NetSci 2008, 25-27th June, 2008, Norwich. You can find a full listing of Computational Biology Laboratory seminars here. York Cross-disciplinary Centre for Systems Analysis, November 2018, York. Distinguishability in genealogical phylogenetic networks, August 2018, Lorentz Center, Leiden, NL. University of Greifswald, June 2018, Germany. Le Laboratoire Biometrie et Biologie Evolutive, Inria March 2018, Lyon, France. CRM, Western Sydney University, December 2017, Australia. CiE 2016: Pursuit of the Universal, June 2016, Paris. British Applied Mathematics Colloquium, April 2016, Oxford. Mathematical Approaches to Evolutionary Trees, September 2015, Imperial College, UK. The Phylogenetic Network Workshop, July 2015, Institute for Mathematical Sciences, National University of Singapore, Singapore. Evolutionary analysis beyond the gene, November 2014, The Royal Society at Chicheley Hall, UK. Greifswald Phylogenetics Meeting 2014, July 2014, Alfried Krupp Kolleg, Greifswald, Germany. Utilizing Genealogical Phylogenetic Networks in Evolutionary Biology: Touching the Data, July 2014, Lorentz Centre, Leiden, Netherlands. Tropical Mathematics and its Applications, February 2014, Warwick University, Warwick, UK. International Symposium on Discrete Mathematics and Mathematical Biology, August 2013, Max Planck Institute for Mathematics in the Sciences, Leipzig, Germany. Studia Stemmatologica, June 2012, Helsinki, Finland. Mathematical and Computational Evolutionary Biology, June 2012, Montpellier, France. ALGO 2011, September, 2011, Saarbrucken, Germany. Bioinformatics Leipzig, April-June, 2011, Leipzig, Germany. Leigh 2011, February, 2011, Leigh, New Zealand. Biomathematics Research Centre, Jan.-Feb. 2011, Christchurch, New Zealand. Genomics Automation Europe, September 2010, Dublin, Ireland. NESCent, Aug. 2010, Durham, USA. Institut fur Mathematik und Informatik , July 2010, Greifswald, Germany. An International Conference on Mathematics, Evolution, and Development, PICB, March 2010, Shanghai, China. Department of Computer Science, November 2009, Aberystwyth University, UK. DIAMANT/EIDMA Symposium November 2009 , November 2009, Lunteren, Netherlands. Phylogenetics 2009 , Renyi Institute, June 2009, Budapest, Hungary. Instituto Gulbenkian de Ciencia, February 2009, Lisbon, Portugal. 7th Australia - New Zealand Mathematics Convention , December 2008, University of Canterbury, NZ. Department of Mathematics, November 2008, University of York, UK. Department of Computer Science, November 2008, Durham University, UK. Mathematics and Informatics in Evolution and Phylogeny, June 2008, Montpellier, France. Future Directions in Phylogenetic Methods and Models, Dec 2007, Cambridge, UK. ESEB XI Congress, August 2007, Uppsala, Sweden. Bioinformatics 2007, June 2007, Umea, Sweden. The Annual New Zealand Phylogenetics Meeting, February 2007, Mt Ruapehu, New Zealand. PICB Mini Symposium Combinatorial Problems arising in Computational Biology, February 2007, Shanghai, China. First International Conference "Integrated Computational Biology, December 2006, Gyeongju, Korea. Geometric Networks and Metric Space Embeddings, November 2006, Dagstuhl, Germany. Computational approaches to functional and regulatory RNAs, July 2006, Benasque, Spain. The Bioinformatics Laboratory, NUI Maynooth, Maynooth, Ireland, May 2006. The tenth Annual New Zealand Phylogenetics Conference, February 2006, Kaikoura, New Zealand. Computers in Scientific Discovery III, February 2006, Ghent, Belgium. Instituto Gulbenkian de Ciencia, November 2005, Lisbon, Portugal. 5th Workshop on Algorithms in Bioinformatics - WABI 2005, October 2005, Mallorca, Spain. Nouveaux modeles et algorithmes pour l'Evolution, June 2005, LIRMM, France. Mathematical genetics and bioinformatics group, April 2005, Oxford University. Whitianga '05, February 2005, New Zealand. CompBioNets 2004, December 2004, Recife, Brazil. Summer School on Phylogenetic Combinatorics, August, 2013, Max Planck Institute for Mathematics in the Sciences, Leipzig, Germany. 17th International BioInformatics Workshop on Virus Evolution and Molecular Epidemiology, September, 2012, Belgrade, Serbia. 16th International Bioinformatics Workshop on Virus Evolution and Molecular Epidemiology, August 29 - 3 September, 2010, Johns Hopkins, USA. 15th International Bioinformatics Workshop on Virus Evolution and Molecular Epidemiology, September 7-11, 2009, Rotterdam, The Netherlands. PhD program in computational biology, February 9-13, 2009, Lisbon, Portugal. 14th International Bioinformatics Workshop on Virus Evolution and Molecular Epidemiology, 1-5 September, 2008, Cape Town, South Africa. A Short Course in Phylogenetic Combinatorics, 14-25 July, 2008, Pohang, Korea. 13th International Bioinformatics Workshop on Virus Evolution and Molecular Epidemiology, 10-14 September, 2007, Lisbon, Portugal. Phylogenetic trees and networks, June 2007, Department of Plant and Environmental Sciences, University of Gothenburg, Sweden. 12th International Workshop on Virus Evolution and Molecular Epidemiology, 11-15 September, 2006, Athens, Greece. Phylogenetic trees and networks, Centre for Dynamical Processes and Structure Formation, June 6-8, 2006, Uppsala University, Sweden. PhD program in computational biology, November 21 - 25, 2005, Lisbon, Portugal. 11th International Workshop on Virus Evolution and Molecular Epidemiology, 5 September - 9 September, 2005, LNCC, Petropolis, Brazil. Bioinformatics, February, 2005, University of Christchurch, New Zealand. Mathematics and Algorithms for Bioinformatics, January, 2005, UEA. 10th International Workshop on Virus Evolution and Molecular Epidemiology, 30 August - 3 September, 2004, National Public Health Institute (KTL), Helsinki, Finland. Mathematical Theory behind Phylogenetics, April, May, 2004, 19 April- 25 May, 2004, Stockholm Bioinformatics Center. Phylogenetic trees and networks, 27-29 April, 2004, Uppsala University. Discrete Structures for Bioinformatics I, January, February, 2004, Uppsala University. Bioinformatics - Models and Algorithms, November, December, 2003, Uppsala University. Introduction to Phylogenetics, 6-7 October, 2003, Tuebingen University. 9th International Workshop on Virus Evolution and Molecular Epidemiology, August 13-23, 2003, Stanford University. Research School Summer Course: Phylogenomics, 13-19 June, 2003, Chalmers University.